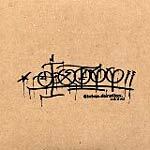 AMAZING>>>1200 hobos and Sebutones member Sixtoo comes with one of the dopest instrumental projects of 2002. Clocking in at 59 seconds short of an hour, you could put this album on repeat for days and still be the happiest kid on your block. If you like Rugged, Dark Beats, this is a must!